This post was originally published as our monthly newsletter. Be sure to sign up! Hey everyone, welcome to the first TCbH Newsletter! This is a whole new ballgame for me too, so I guess the best way to start is just to outline my intentions. 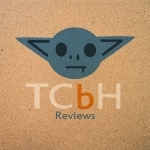 Since starting TCbH, I've started creating and featuring content in several different types of media, and it's been a struggle to keep everyone up to date so they can check out the stuff that interests them. So this is my attempt to get you the scoop on what's new with us, but also have content that you look forward to, including sections on games that we at the TCbH Strikeforce have been playing, as well as hot strats. As with anything we do, I want it to be meaningful, entertaining, and inclusive; so if you have feedback on stuff you like or dislike, ideas for new content, or want to contribute, contact us through the link at the top of www.cardboardherald.com. Grab Bonuses - and watch out for others! 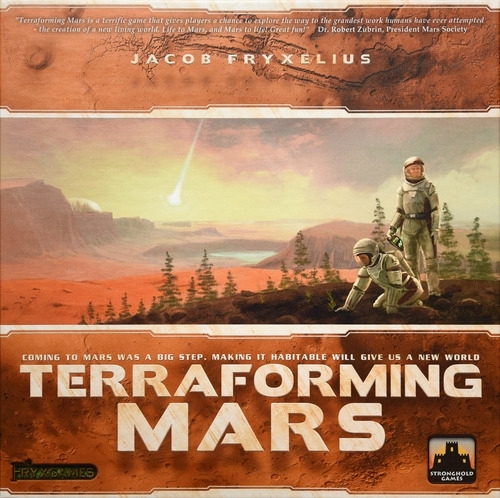 Some terraforming projects get you a bonus – manage your turn carefully to get those; sometimes that means waiting a turn before playing the terraforming point, and sometimes it means playing two of one type even if that requires a standard project. Grabbing these points can be really effective and once they are gone – they are gone. Using the media; An early media lead allows you to shift the issues track each round, and that can help you build additional momentum / endorsements. It’s a very powerful tool which you can use whether or not you have the initiative. However, these cubes are hard to gain (support checks needed each time). There is one additional bonus to this strategy – these cubes are doubled when they go into the bag at the end of the game! This month's strategy tips were provided by Robert Crowter-Jones of The Elusive Meeple, where you can find his full reviews and strategy breakdowns of (Game w/ link to review) and (Game w/ link review), as well as a ton of other games. Where designer homies of TCbH give you some tips from the pros. "Playtesting your games with strangers can provide some of the most valuable feedback. They aren't invested in your friendship, so they're typically more open about your game's pain points and shortcomings." -Lock Watson of Brain Work Inc.
Jan 17 - Chuck Pint of SFR, the makers of Dragon Dice! Jan 12 - Terraforming Mars: Corporate Colonialism in Space! Been playing all sorts of games (as usual), but the ones really standing out at the moment are Charterstone, Spirit Island, and Photosynthesis. I also got a chance to play Elder Sign for the first time recently (thanks Cheyenne for the X-mas gift!). In particular, I'm kind of obsessing over Spirit Island, which we've had 3 games. A learning game, which we lost, an actual game, which we won, and a solo game, which I got stomped! I'm really loving how thematic and unique each of the spirits are, and how crunchy the game can be. It's like a co-op Cthulhu Wars by way of Terraforming Mars. I got Charterstone as a review copy, and will likely be my next full game review after Dragon Dice, which should be getting published tomorrow (as of writing this). We've been playing through the campaign with a group of 3, and while it's fun, I'm not really sold on how good of a game it is yet. We have 5 more games till we are done with the campaign, and my main complaint is that it wants to have it's cake and eat it too, by making it both a strategic game, and a game where you open up new stuff and change the parameters of the game as you go along. Still, the important thing is that we are having fun. Lastly, Photosynthesis is one of those NEW HOTNESS games of mid-2017 that I hadn't had a chance to check out. Fortunately my demo-duties at our local Platypus Con included showing off this game, so it was time to learn. I like it. It's fun, it looks beautiful on the table, it's easy to understand what your options are and WHY those options exist, both thematically and mechanically. My only issue is that it takes a lot longer than the box lets on, especially for new players, as they try to get their brain to operate with the revolving sun mechanic. Consistently tables of 4 new players were taking 90-120 minutes, but at least they had fun. Be sure to tweet / email us with any listener questions you want us to tackle on air! The biggest announcements are this newsletter (which this is a terrible platform to announce it on) and TCbH Hangouts. Hangouts is our new podcast that's really just a venue to have broader group discussions focused on cool, creative projects in the hobby. Friends of the show and TCbH Contributors will get together on a regular basis to just hangout and talk about rad stuff. You can find the links to the channel above; grab a cup of coffee and come hang out with us! I also am proud to announce that Robert Crowter-Jones of www.elusivemeeple.com is now contributing to The Cardboard Herald by copublishing some of his reviews on our site and providing hot strategy tips for your favorite board games for THIS VERY NEWSLETTER. Go check out his stuff. First off, thanks for being an early adopter. I'm someone who likes to gab about stuff, and you've given me a platform to do so. As I work on tightening up my other output, I'm pleased that this gives me a space to just kind of talk about some things. If you like the newsletter (or I guess if you hate it too...) SHARE! Tell all of your friends, enemies, grandmas, mee-maws, and crazy Uncle Zenos to subscribe to the mailing list. I'll be sending this first email to anyone who joins in February. Second, if you got feedback on our stuff, or want to see more of certain contributors, please let us know. I want to make TCbH feel like YOUR space. I care about what you have to say, and helping you feel included. Shoot me an email at cardboardherald@gmail.com or yell at me on twitter if you got something to say. Lastly, take a chance on yourself. I recently took a big chance and put myself out there; I have no idea how it'll go. Like most of my endeavors in life, it very well could fail, but it'd still be worth it. All I can say is that holding back on something personally fulfilling or meaningful out of risk of rejection or failure, just leads to regret. If it ain't hurting anyone but your pride, take a chance; I believe in you! We'll keep your email secret, keep it safe. Thank! You are now one of the chosen ones. Someday, we'll call upon you in our quest to defeat the darkness (or something like that).